All of life’s necessities are accessible at 11212 Apartments, located in one of Edmonton’s heritage communities close to the downtown core. If you are looking for apartments to rent, come and visit us! Come and meet our friendly management team and find your perfect-fit Edmonton apartment today! We are a pet friendly apartment block in a walkable community close to the City’s beautiful river valley, local and independent dining and shopping, and a farmer’s market and grocery store. A nearby community league is ideal for keeping active and meeting new people and families in all four seasons. 11212 Apartments has invested in what matters: open flexible designs and floor plans in an energy efficient building. Residents can choose from one bedroom apartment, two-bedroom apartment or studio apartment layouts. 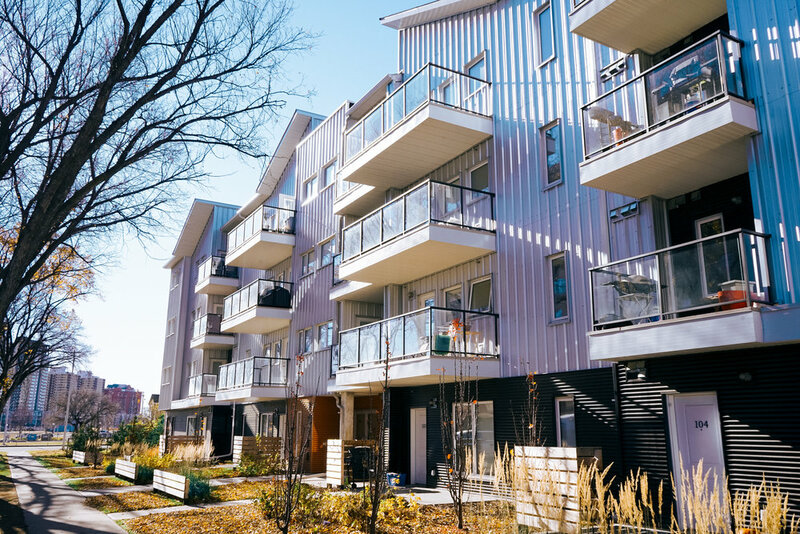 The development incorporates sustainable design practices, such as triple glazed windows, a robust building envelope for reduced energy consumption, utility metering for each suite, low flow plumbing fixtures and low VOC finishes. Apartments feature upgraded appliance packages, a choice of barrier-free units on the main floor and shared or in-suite laundry. Other apartments charge flat pricing, and you end up paying for things you don't even use. 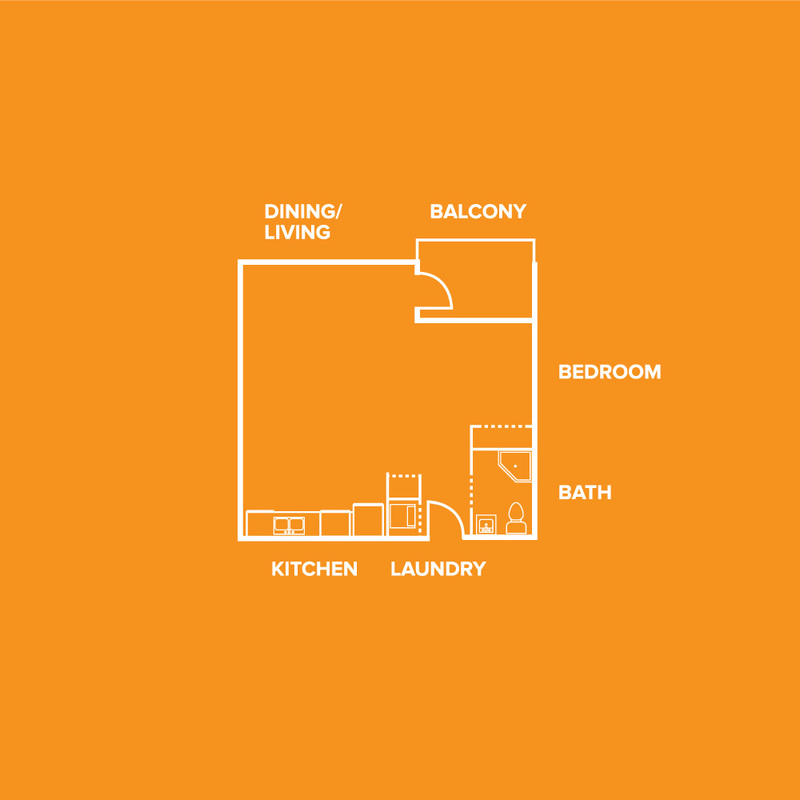 At 11212 Apartments, you only pay for what you need. 11212 APARTMENTS' PRICING PUTS YOU IN CONTROL OF YOUR RENT. Like to keep your energy costs low? SAVE WHAT YOU DON'T USE. Each 11212 Apartment is customized with individual metering so you only pay for the utilities you use. Superior soundproofing was also a top priority in the building development to keep street noise and neighbour disturbance at a minimum for our tenants. Parking and storage are extras that you can rent if you require. Need more space? Or maybe you don't need a car? Pay more (or less) rent for the amount of space that suits you. Pet's are welcome at 11212! Have a pet and looking for a place that accepts pets? We're your place. 11212 APARTMENTS OFFER PLANS THAT FOCUS ON OPEN SPACE AND FLEXIBLE LIVING ARRANGEMENTS THAT WORK FOR ANY LIFESTYLE. Studio units offer lots of open space along with closet space for storage. The dining/living room enters into balcony/alcove to offer some exterior privacy. Read more about our studio units. Upper storey two-bedroom suites are on corners on the building and offer excellent light. A flex room offers space for a studio office or media room. Read more about our two bedroom units. One bedroom units offer a large open space with the kitchen on one side and the balcony on the other. The living space also shows off beautiful glu-lam beams in the main space. Read more about our one bedroom units. Main floor units are barrier free and private entrances (complete with a deck. With a spacious open area, the flex room can be used as a third bedroom or nursery if required. Read more about our two bedroom units. EASY ACCESS TO LIGHT-RAIL AND BUS TRANSIT. 11212 Apartments' location provides great access to LRT/Transit, the Commonwealth Leisure Centre, and the Royal Alexander Hospital. Hop on transit and your minutes away from the University, Downtown, and Ice District.